Maximum cell viability in 50min. 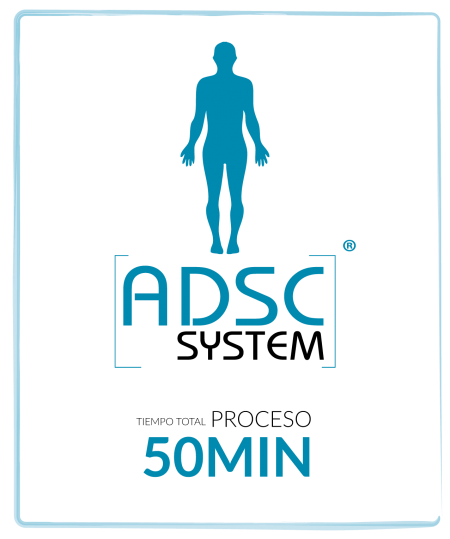 The process begins with obtaining a sample of adipose tissue from the patient, usually from the abdominal area, where 50 cc of decanted adipose tissue or PLA is needed. Once the biological sample is obtained, the technical protocol developed by Lyposmol is started. 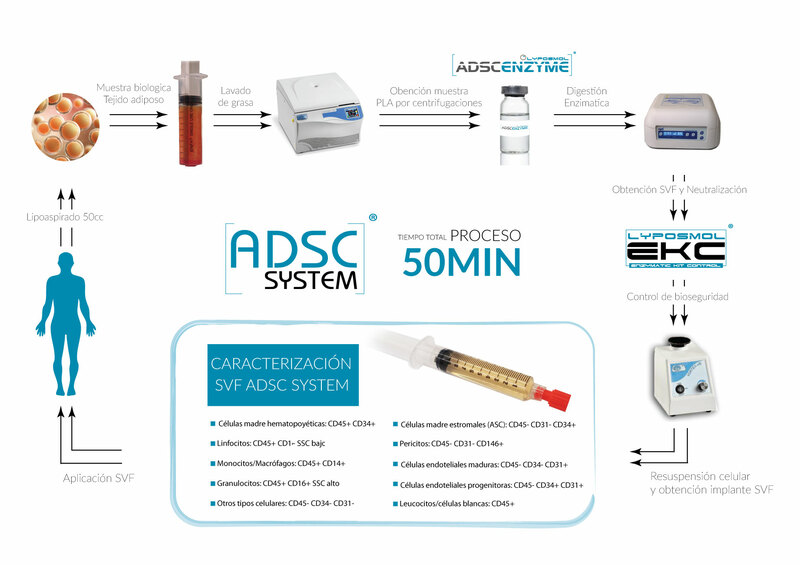 The protocol consists of a series of technical steps of centrifugation, incubation and agitation by transfer and concentration of pellet with the material included in the Lyposmol ADSC System® kit; a process fully developed in the working protocol that is given to the clinical personnel during the initial training performed by Lyposmol technical team, usually in the client’s clinic once all the necessary instruments have been acquired. It is known that cell viability decreases with the passage of time, so it is essential that the intervention is performed in the shortest possible time. The most critical part of the process is the enzyme digestion and separation of the cellular groups of the connective tissue, from that moment on, the percentages of viability of the stromal cells begin to descend, In fact from 60 min the cell death is tremendously accelerated. We have taken into account the processing times to be able to achieve cell viability> 95%; this is produced basically by the quality of the enzymatic reagents and reduced time of the process; in fact, nowadays, Lyposmol ADSC System® is the fastest system on the market.